Being a parent of two children who are in scouting I can appreciate that the activities that they take part in definitely contribute towards the above points – but as they are in a fun environment the children are not aware of the life skills that they are gaining!  I would like to share with you that our Scouts in Crofton get the opportunity to take part in the most amazing experiences, these can be as diverse as kayaking, abseiling, gliding and expeditions to name but a few. These are with their new and old friends so what is not to like? The weekly fees and the contributions towards camps and trips that parents pay cover the normal running costs. However we rely on fund raising for replacing and upgrading old equipment eg tents, and for purchasing those “extras” that enhance the scouting experience. One example is the grass sledges which the children love. Just to note that all the leaders are volunteers and give their own time for the weekly meetings and trips which we all appreciate. There are certain grants that we can apply for (on occasion), however we also have to raise funds through other means for example bag-packing at Supermarkets or selling food at the Sidings fund day. If anyone has any ideas about fund-raising, or can offer any help in this area we would be very grateful. All the money goes back to the Scouts where they will gain memories from their experiences that will stay with them for a life-time. Any ideas please contact me on the email address below.